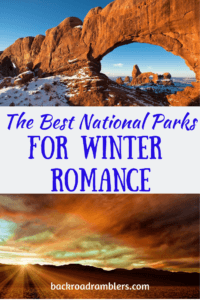 I’m going to continue my love affair with our national parks today and talk a little bit about romantic winter getaways (you know, for Valentine’s Day). Speaking of love – our national parks are perhaps a bit overloved during certain seasons of the year, specifically in the summer when kids are out of school. A romantic national parks vacation begins with a bit of seclusion, which you can certainly find at many national parks in the winter. Don’t wait for summer crowds to start exploring your national parks — here are a few ideas for romantic winter adventures that will make you fall in love with your national parks all over again. Discover some of the most spectacular ice formations in the world at Lava Beds National Monument in Tulelake, California. This spectacular cave is actually a massive lava tube that traps frigid air, creating a chamber of frosty features that will take your breath away. Special tours of the Crystal Ice Caves are only offered on Saturday afternoons to a small group of visitors, from January through March. It’s a strenuous excursion, requiring sturdy boots, knee pads, and headlamps, but if crawling around in dark places with the one you love sounds appealing, you should definitely give it a go. Visiting Lava Beds National Monument in the Winter: The park is open year-round, and $15 will get you a 7-day pass for everyone in your vehicle (yes, it’s a budget vacation). The small campground is lovely and costs just $10 per night. They don’t take reservations, but you should have no problem securing a spot in the winter. There are several small hotels and motels outside the park if camping isn’t your thing. In addition to the fabulous caves found throughout the park, there’s also a huge range of hiking opportunities and lots of wildlife. By February, winter’s clutches are slowly loosening their grip on Arches National Park, and you will find relatively mild, pleasant days, very few people, and tiny wildflowers making a glorious appearance across the canyons. Even the most crowded trails to the Delicate Arch or the Devil’s Garden will see just a handful of people in February, making it the very best month to fall in love with those incredible red rocks. Stormy days are more common in the winter, and those are the days to meander along the scenic drive with your love and your camera by your side. It’s pure magic. 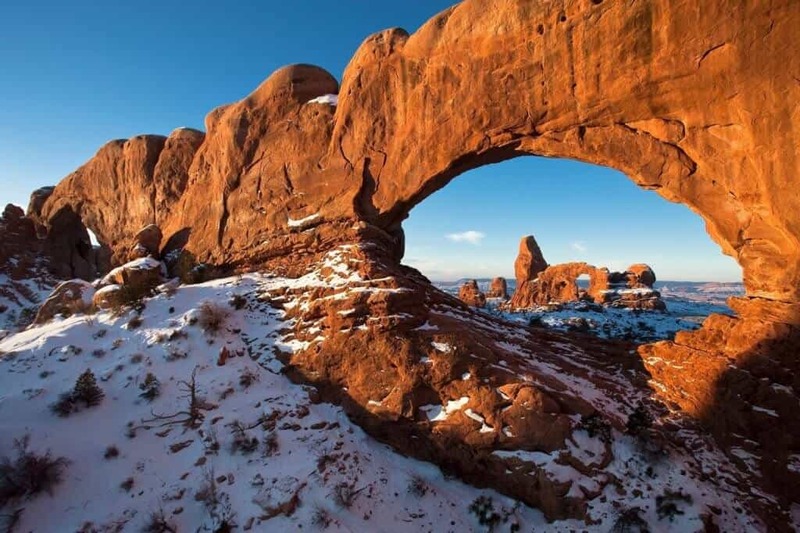 Visiting Arches National Park in the Winter: The park and the campground are open year round. Reservations can be made at the Devil’s Garden Campground between March and October. In winter, it’s first-come, first-served. You won’t find restaurants, hotels, or lodges in the park — just a small visitor center for basic necessities. If roughing it in the winter is not your idea of a good time, we recommend heading to nearby Moab, where you’ll find every manner of lodging, from budget to luxury. We love the super funky and fun Gonzo Inn, which combines a unique sense of style with a bit of luxury. Prices are reasonable too. 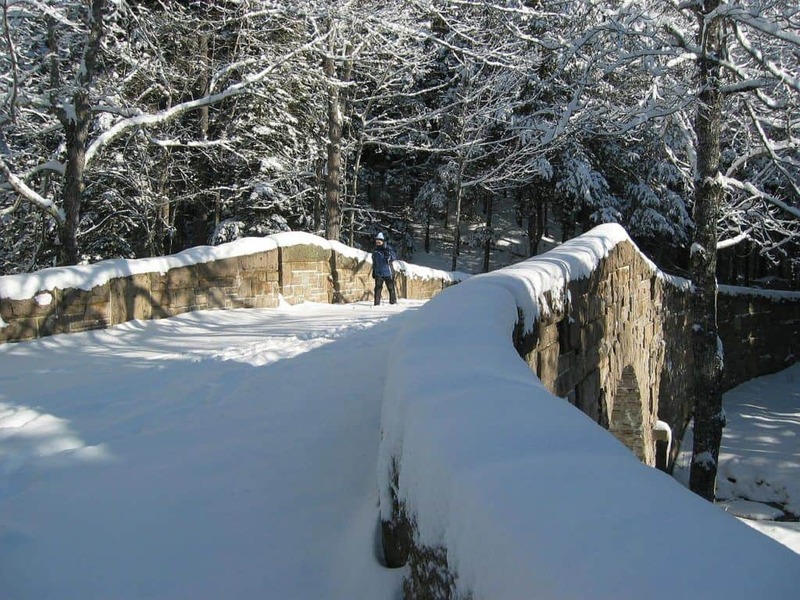 There are more than 45 miles of carriage roads in Acadia National Park, providing stunning views, supreme solitude, and a good workout for cross-country skiers. 32 miles of trails have been designated for grooming by volunteers when time permits, usually when the snowfall amounts to more than four inches. For more information on skiing these incredible trails, please read this lovely cross-country skiing post by Friends of Acadia. Visiting Acadia National Park in the Winter: This northern national park is such a winter wonderland, you will have no trouble finding adventures of every shape and size. Birding trips, guided snowshoes, boat rides, and wildlife watching excursions are scheduled throughout the offseason. Dogs are allowed on Acadia’s carriage road, provided they remain on a 6-foot leash at all times. The park loop road is closed in the winter and there are no entrance fees. Primitive camping is available for hard-core adventurers, or you can travel just outside the park to Bar Harbor for every manner of lodging and dining opportunities. We adore the Acadia Hotel, which is super convenient to everything, very clean, and affordable. 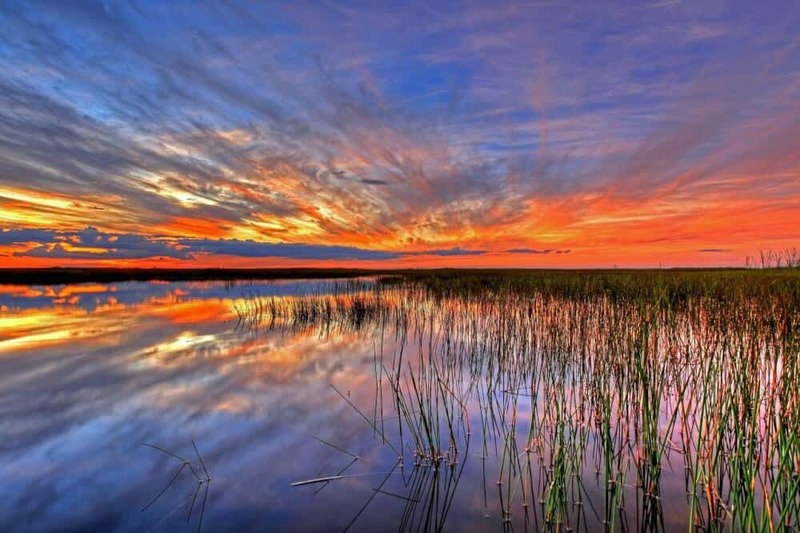 A romantic winter sunset in Everglades National Park. Winter is considered the dry season in Everglades National Park, and it’s a secluded paradise for birders and lovers of wildlife. Here you’ll find the rare West Indian Manatee, the American alligator and the American crocodile, more than 40 species of mammals, and 360 species of birds. Much of the everglades can only be explored by boat, and there are lots of well-marked canoe and kayak trails to choose from. The 99-mile Wilderness Waterway can be completed in seven to ten days, with plenty of backcountry camping options that offer total seclusion and awe-inspiring beauty. Visiting Everglades National Park in the Winter: Winter is the busy season in the Everglades, but with more than 1.5 million sprawling acres to explore, it’s pretty easy to find solitude. $20 will get your vehicle into the park for seven consecutive days. Front country camping sites fill up quickly in the winter and must be reserved in advance. If you’re seeking romance in the backcountry, you should have no problem securing a spot. Death Valley’s array of surreal landscapes is otherworldly, and there’s no better time to explore this incredible desert than in the winter. You’ll still find some snowcapped peaks in February, but you may also have a chance to meander through fields of wildflowers, catching incredible sunrises, and glimpsing some rare wildlife, including bighorn sheep, the elusive desert tortoise, lynx, fox, and mountain lions. Visiting Death Valley National Park in the Winter: Be sure to visit Badwater Basin, which is the lowest point in North America (282 feet below sea level). Other cool sites include Artists Drive, Zabriskie Point, and Golden Canyon. Camping is available year-round within the park at nine different campsites, and there’s great lodging too. We recommend the Ranch at Death Valley, which has an outdoor pool and expansive grounds. It is very close to Furnace Creek and Zabriskie Point. Have you explored your national parks in the winter? We’d love to hear about your favorite excursions in the comments below. We can’t wait to plan our next trip! Hey Pinners – would you mind sharing this post? Thank you! These places are breathtaking. My favorite is the Lava Bed! It looks out of this world. We did Acadia two years ago. Beautiful! I love nature and surely would love to visit US natural parks. Its a great idea to visit some in winter time and you can get very different landscapes, and awesome photos. Lovely views and great ideas! All are so romantic and gorgeous! Lava Beds – my favorite! Wow! 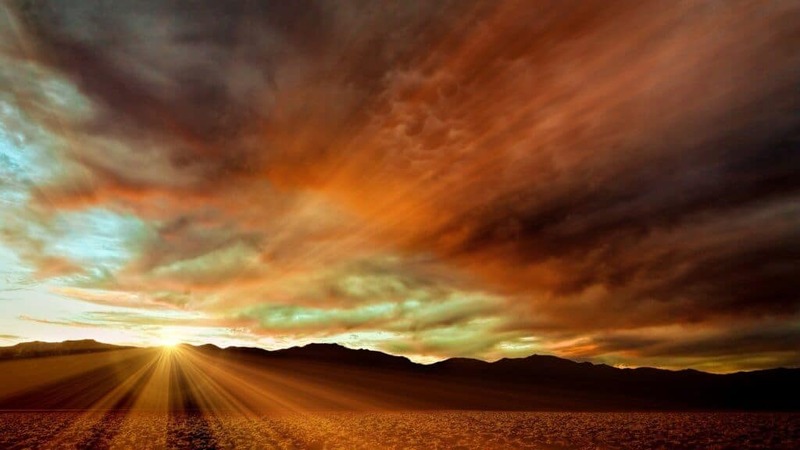 There are some amazing photos here! I never think of going to the parks in the winter, but you’ve made a strong case for doing so. Less crowded, beautiful sprinkling of snow…I really should plan a trip! Natural Parks have its charm, very true! Stunning, Everglades look like a truly romantic getaway, thanks for this inspiration! I love the Everglades National Park! It is such a beautiful place to visit, especially at sunset! Would love to visit the Crystal Ice Caves at Lava Beds National Monument, looks awesome!! Yes, the mangroves of the Everglades are always a perfect activity!! And the lave caves look so cool! We’ve never taken our kids there, so maybe that’s worth looking into. Great post. I need to visit all of these parks! Love that you chose the National Parks for your focus. So many of us talk about getting out there and exploring them. Love your ideas for doing that. We love National Parks during all seasons. Winter at some of the parks is magical. These are great ideas and hope to do some especially Everglades during winter. We loved Bryce and the contrast of snow against the red rocks. We also had a wonderful visit at Great Sand Dunes especially sandboarding. Mary, I loved Bryce Canyon, but we went during the summer. I bet it’s awesome in the winter! I’ve never been to the sand dunes, but I’d love to check it out. These are awesome ideas. A hike can be so romantic. Love the Everglades and it is a terrific time to visit, though it’s been a bit rainier this “dry” season so come prepared. All to incredibly amazing adventures! Thanks so much for listing them and getting my mind reeling with planning!!! I love the outdoors but never thought to visit places like these in the winter! Seems like a lot of work and prep but so worth it! Probably more work than in the summer, Matt, but it’s a great cure for cabin fever. Ohhh I want to do all of these things! I am trying to appreciate winter more :)These would help! All of these are so awesome! We are looking for some winter spots within driving distance of our new home in Charleston SC. I love all the spots you picked! I love this! Do you have any recommendations for fun Winter adventures in Rocky Mountain National Park? LOVE your site!! I’ll definitely be back! AHHH! I love this one. You have such a knack for capturing beauty. SOOOO beautiful! I’d love to see so many of these places 🙂 Maybe someday we’ll take our kids around to some of the national parks! We have ice caves not too far from where we live, but I’ve never been before. I may have to make it a priority this winter. Everyone that goes says it’s beautiful! There are several on your list that I just have to go and see!! Thanks for sharing!! Thanks for the ideas! I’ve been craving a winter outdoor adventure and I don’t want to snow to stop us. I wish I lived near these places so I could see their beauty in person. However, Austin, TX, where I live in pretty magnificent too. 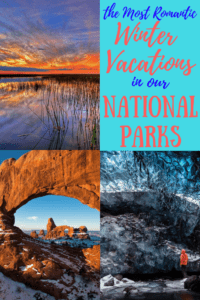 My husband would love this – he’s always saying how he wants to start a National Park tradition with our family, but we don’t even know how to get started! !